If you are in the market to buy an aircraft you've come to the right place. Bates Jet has all the information you need to make an informed aircraft buying decision. Bates Jet acquistions are supported through market research performed by staff members and our world-wide alliance partners who have first hand information about available aircraft. Some aircraft are not advertised publicly. Information we gather and receive from aircraft owners and brokers enable you to select the best aircraft within any market. Aircraft can’t move without the skill and knowledge of pilots. For aircraft owners, having competent crew is mandatory. For a pilots, getting and maintaining a pilot’s position where your skills and abilities are appreciated are desired. As instructor pilots ourselves, we understand the unique relationships between pilots and their principals. Since Bates Jet’s main focus is helping aircraft buyers and sellers with aircraft transactions we often learn of pilots needing positions and principals needing pilots. What better information to have to help both pilots and aircraft owners. Here's how we put it together. Pilots needing jobs or contract work. If you are a pilot and are seeking a pilot’s position, just send us your resume and we will work to locate a flying position that matches your skills and abilities. Please tell us your desired position and acceptable salary range. If you seek pilots on permanent basis just contact us. Through the years our database of competent pilots has grown. 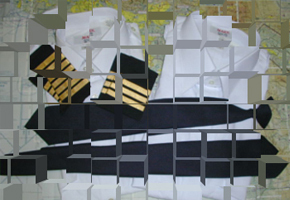 In little time we can present you resumes of competent pilots matching your requirement. If you seek contract or temporary pilots, contact us as well. Our database includes contract, self-employed pilots who can work for you on temporary basis. Also, with strong relationships with pilots around the globe, we can help you move aircraft to any location. Just call with your requirement and we’ll provide you a quote.